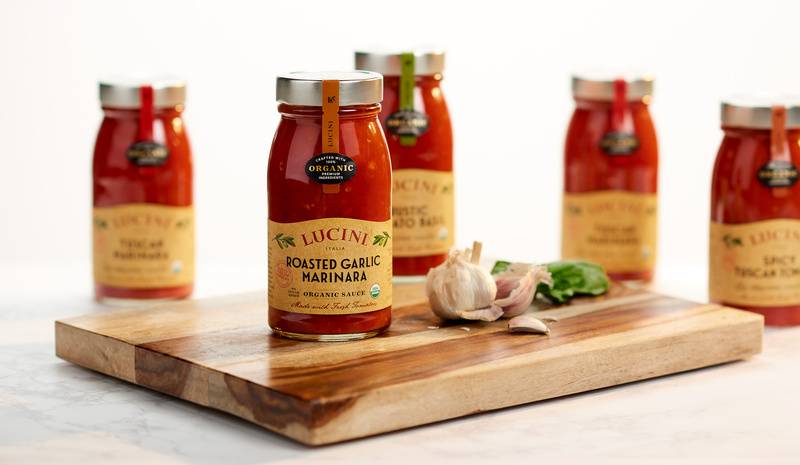 Lucini Italia, a company passionate about creating handcrafted gourmet foods inspired by the culinary traditions of Italy, asked us to help them develop a more cohesive and premium packaging system. 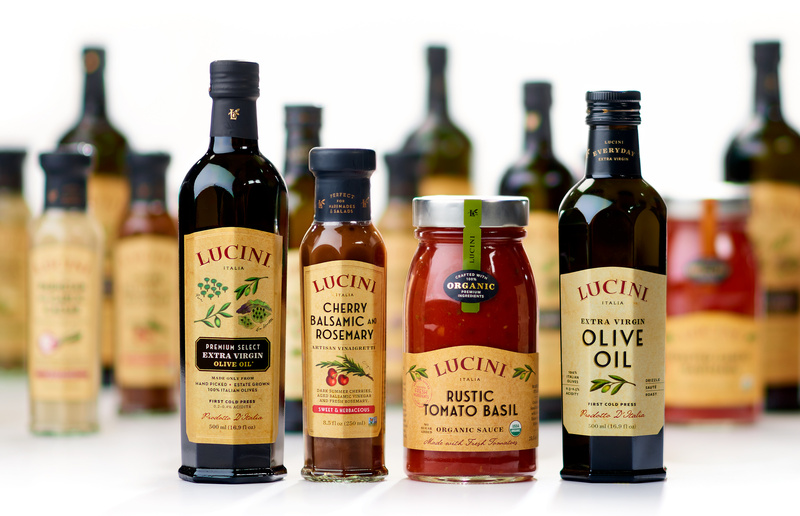 This meant assessing all of their products across different areas including premium and everyday olive oil, and several varieties of pasta sauce and multiple flavors of salad dressing. They’d had unsuccessful redesign attempts in their past that had gone too far and tried to impose a “red checkered tablecloth” vibe on the brand. They wanted something more authentic and true to their Italian heritage. They also didn’t want to alienate their extremely loyal customer base. 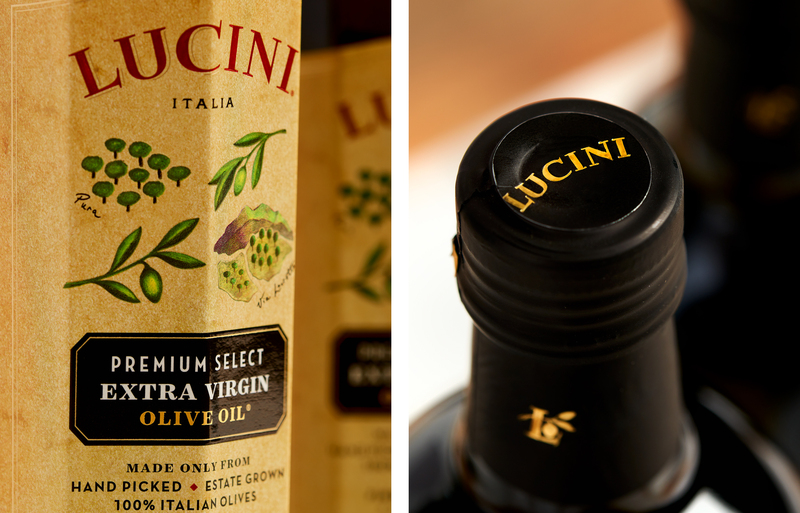 Lucini’s flagship product, Premium Select Extra Virgin Olive Oil, is a bestseller and a customer favorite. Research showed that customers were fond of the product’s existing packaging, so we were challenged to improve its shelf appeal without losing its overall character and charm. We tweaked nearly every element of the Premium Select package, making a number of small design improvements that added up to a much stronger shelf presence: we re-designed the logo to give it more elegance, arced the label to give the logo more space and we re-drew the naive “travel illustrations” for better composition and flow. We also created a more authentic-looking parchment, improved the label’s information hierarchies, and added black and gold elements to increase the bottle’s premium appeal. In addition, we created a monogram olive branch L that gives them one more element in their visual vocabulary. 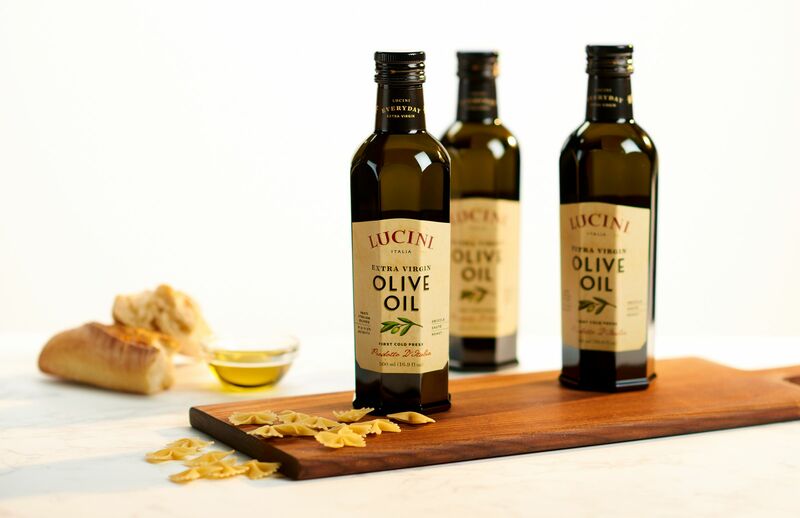 Lucini’s other products— Everyday Olive Oil, handcrafted sauces, and artisan vinaigrettes—were more dramatically redesigned to complement the new-and-improved Premium Select Extra Virgin bottle and compete more successfully within their respective retail categories. The end result is a beautiful, flexible system that looks as good as the products taste. Thanks to Anchalee Chambundabongse for joining our design team on this project and Ken Friberg for photographing the packaging. 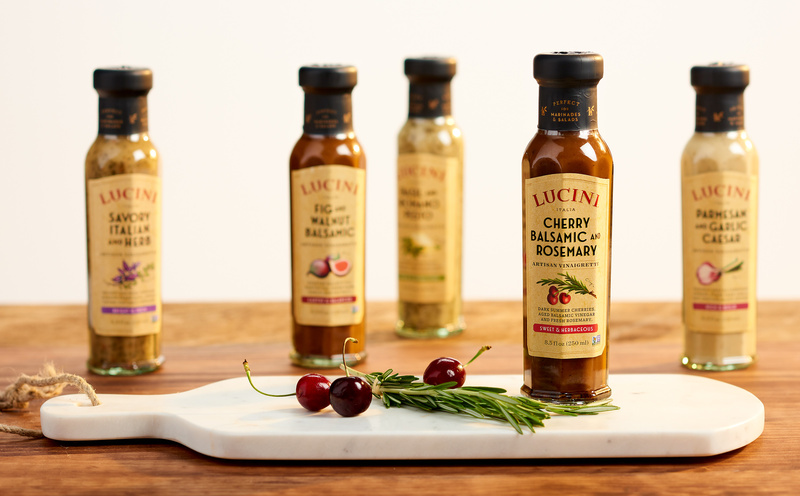 The redesigned sauces have a stronger shelf presence with more legible flavor names. There is a stronger emphasis on the organic and handcrafted aspects of the sauce. Because the sauce itself is so beautiful, we were mindful of giving it plenty of space to shine without being covered by a label. 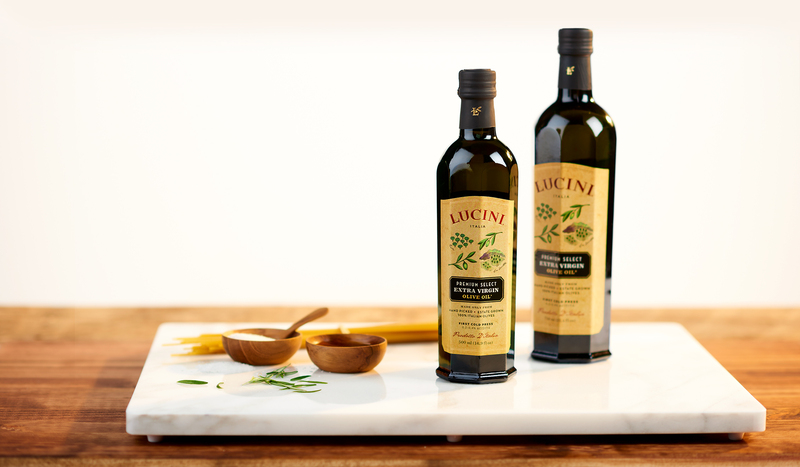 The vinaigrettes are more aligned with the Premium Select Olive Oil, making it easier for the loyal Lucini Olive Oil customer to identify the vinaigrette as an extension of the brand they already love and trust for premium quality.